Greta begins like an upscaled lifetime movie, with bouncy music played to the streets of New York, montages of beautiful temperate days in the park, homey cooking scenes, a cute dog – the sweet introduction to the film is a bit undermined, however, by its reputation. Frances, an ingenuous Bostonian, finds a handbag on the subway and resolves to return it to its owner – her roommate, Erica, notably reminding her in Manhattan they usually call the bomb squad for an unattended bag. Nevertheless, the well-intentioned Frances follows the address found on an ID card to a quaint, scenic house and meets Greta, who is seemingly sophisticated and French, mother-like, charming, and isolated. They bond over their individual loneliness as a friendship is built upon the understanding of loss. 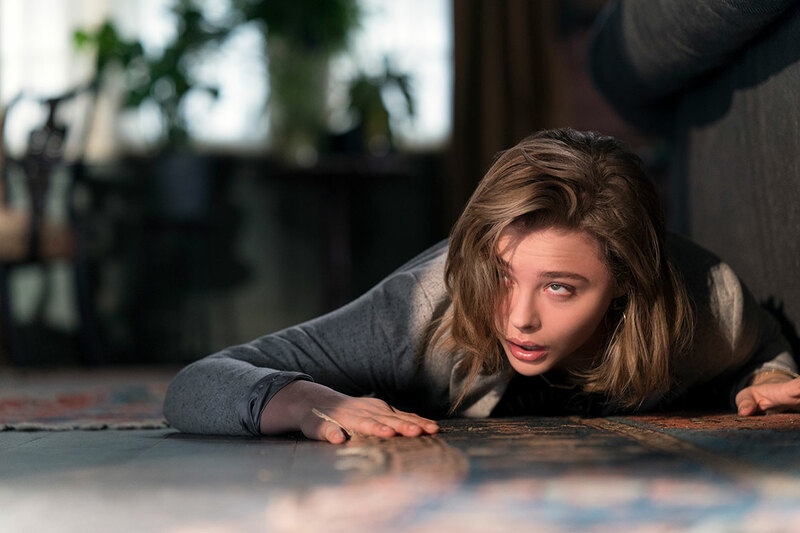 However, about twenty minutes into the film, the movie drops all its horror elements with an inelegant slap of screechy violin music and Chloë Grace Moretz gasping as if she were in a B-movie. Surprise is lost to the speed in which the film rushes into the thick of the story, barreling through its hour and a half runtime with poor pacing. Underneath its artful glaze of cinematic appeal, Greta is brimming with the clichés of frantic music and jumpy cuts. It’s applied heavy-handed at times, less like a varnish of ingenuity and more like space to fill the shallowness of the characters, the plot. Isabelle Huppert carries most of the film, almost all of Greta’s horror imbued into one sinister person, and it’s impressive that outside of soundtracks and camera angles, she is the sole source of terror. Greta is largely devoid of any fantasy elements, any secondary antagonists, any other fear that is not Greta herself – near comically deranged and frighteningly pervasive in Frances’ life. The suspense is from her honed act of psychopathy, the delivery of her lines. The tension is from the deliberateness of her obsession. There are moments not quite explained, disposable characters tossed aside, overly theatrical scenes executed wildly, and the film suffers from the lack of subtlety or wit and a directorial grasp outside of just its visuals. While not bad enough to be entirely campy and not good enough to be spectacular in its genre, Greta is still strangely palatable. Despite all of its flaws, the style in which Greta combines delicate cinematography with a hammer of horror elements banged into anywhere that fits is, surprisingly, enjoyable and interesting. Without reading too much into the plot or picking at the seams where the film unravels, Greta can still be satisfying in an uncomplicated, indulgent, slightly satirical way. Like a McDonalds milkshake – not necessarily good but whatever. Junior. Biggest fan of Cinnamon Toast Crunch.